Last weekend, Scott had one of his most important races on the 2018 calendar. 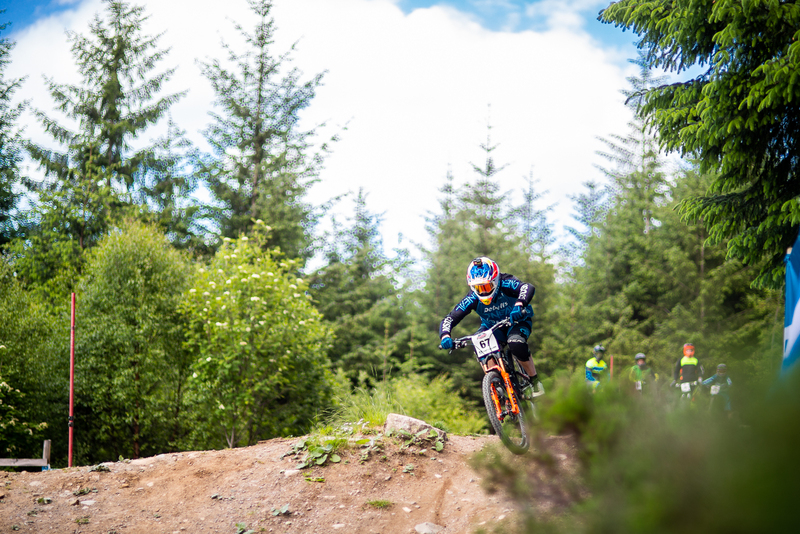 The 4X ProTour round in Fort William, Scotland. 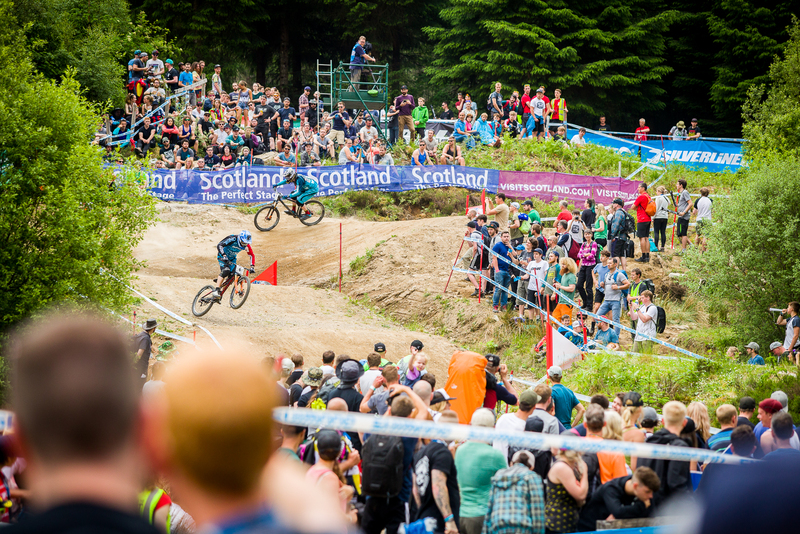 Held as part of the Fort William Downhill World Cup weekend, this event attracts thousands of fans who flock to the Scottish Highlands to watch 4X ProTour, Downhill World Cup and the impressive side events. The race had a good entry, so when practice started the track had a constant flow of riders as everyone got to grips with it. The weather was wet, but in many ways, that helped the new track changes to bind together. The new changes were good as they added 2 extra turns to the track which would really help passing opportunities come race time. 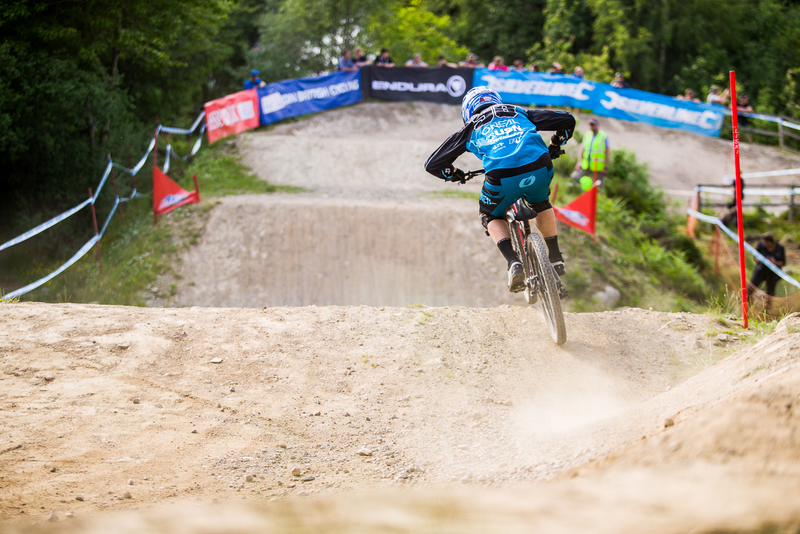 With most of the top riders injury free, this year’s 4X ProTour looked set to be one of the best ever. With 10 of the elite men riders all more than capable of taking wins and the overall title, the strength in depth of 4X ProTour is now better than ever. Scott knows that consistency will be the key and was looking for a decent qualifying to set up his race night. “I made a great start and rode all the lines well. I really messed up in the final turn and that cost me today but we will be back tomorrow”. Race day rolled around and the weather continued to stay dry, despite forecasts saying rain and storms. With huge crowds, Scott was ready. Winning his first round of racing Scott was looking good. In the second round he had a great battle and again moved through to the quarter finals. In his quarter final Scott made a great gate and led the race into turn 1. 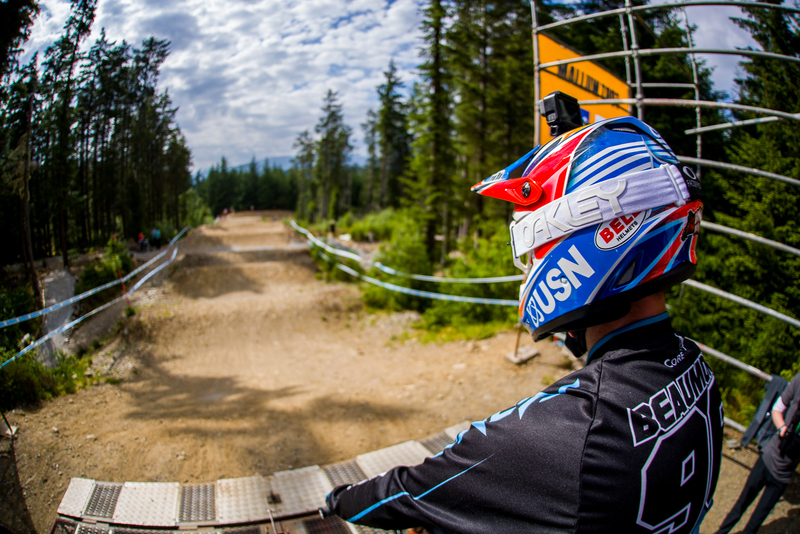 Ahead of Quentin Derbier, Scott looked comfortable until he nearly crashed in the 2nd turn. Losing all his speed Scott went back to 3rd and unfortunately could not make the ground back. He was out of the race and would end up with 9th overall for the night. “I am pretty disappointed with 9th but at the same time happy with how I rode. Just a simple slip in the wrong place cost me dearly tonight. That was a race where anyone could have won but I gave it my all and 9th was the result. We have a few weeks now to prepare for the next round in Czech Republic”. 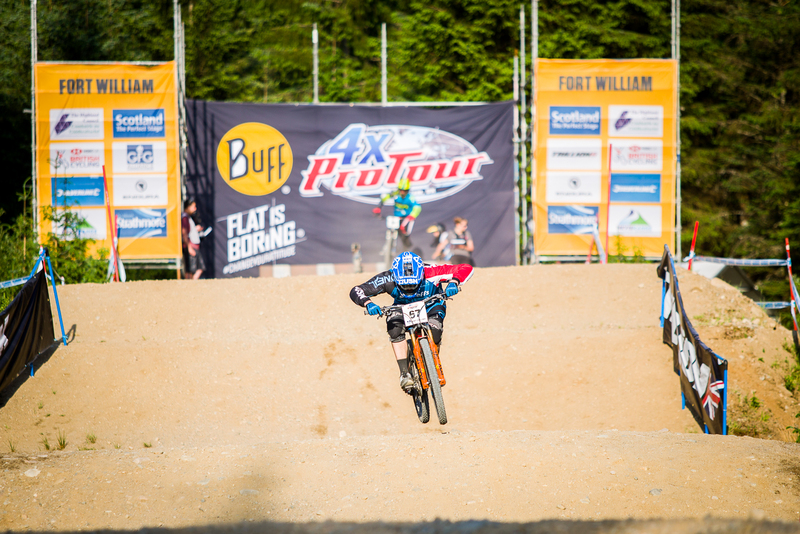 The next round of 4X ProTour is on Saturday 14th July. 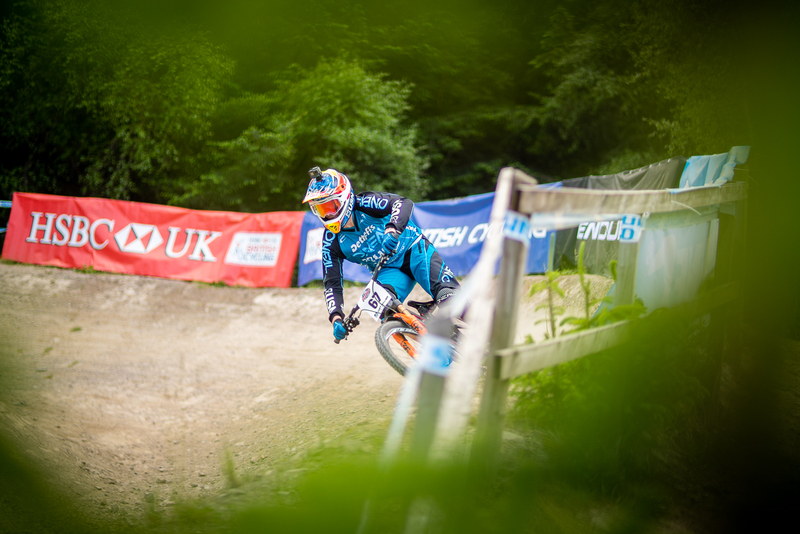 However before then we have the Malvern’s Festival, Round 4 of British 4X Series and the small matter of the 2018 4X World Championships in Val Di Sole, Italy. A huge month coming up. Stay tuned for all the news. This entry was posted in 2018, Press Release, Scott Beaumont and tagged 4X, 4X ProTour, Scott Beaumont. Bookmark the permalink.